UTM Tracking enables Google Analytics Tracking via UTM parameters added to links you share. This helps you monitor how well your content is performing and how much traffic it is driving to your website. Here's how you can use UTM Tracking on Viraltag. 1. 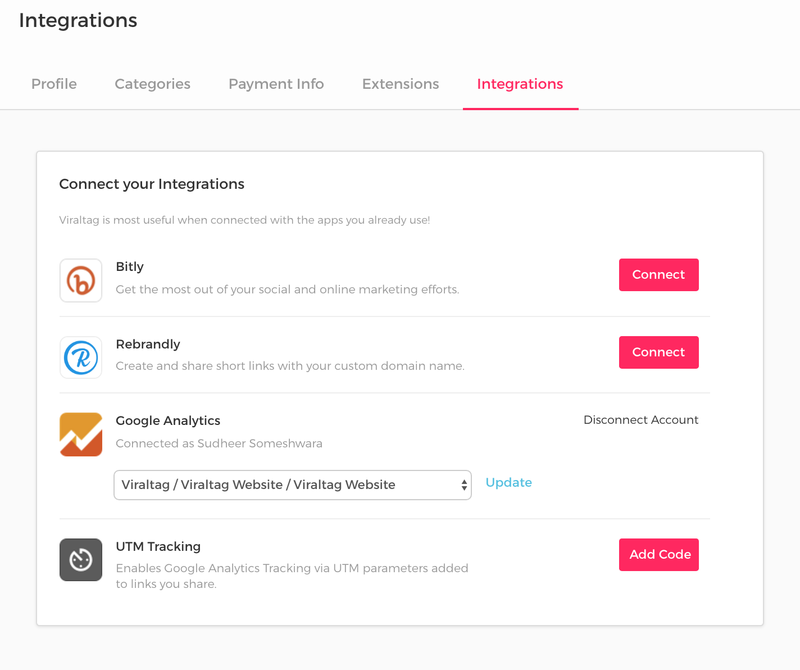 Head over to Settings > Integrations and click on 'Add code' to type in the UTM parameter you want appended to your links. This will get added to all newly scheduled posts once you add in the UTM tracking code (not the ones already scheduled).